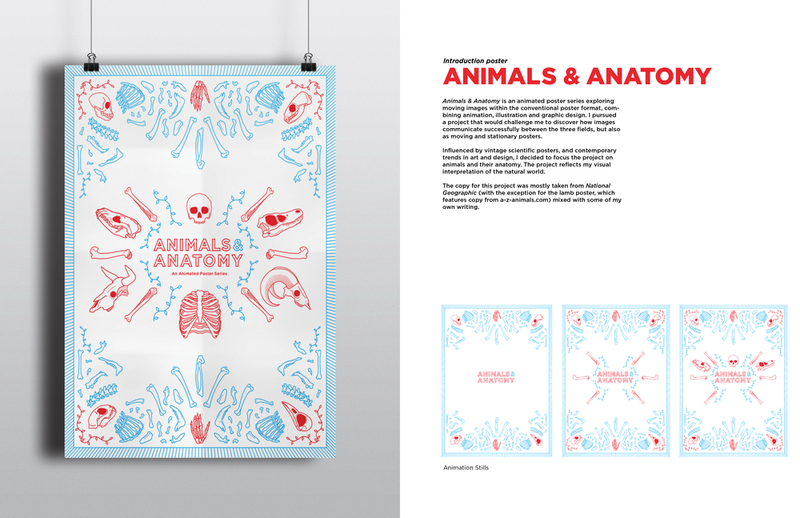 Animals & Anatomy is an animated poster series exploring moving images within the conventional poster format. 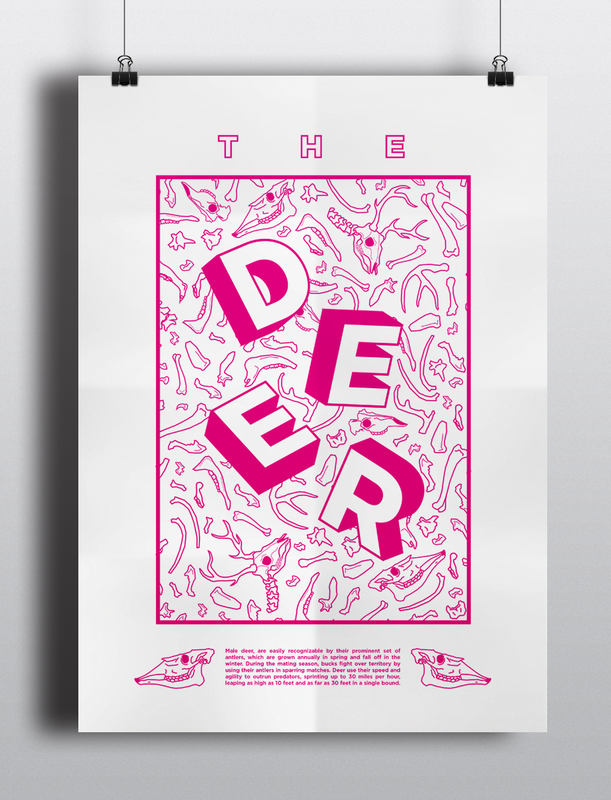 Combining animation, illustration and graphic design. I pursued a project that would challenge me to imagine how images communicate successfully between the three fields, but also as moving and stationary posters. I decided to focus the project on animals and their anatomy. The project reflects my visual interpretation of the natural world.